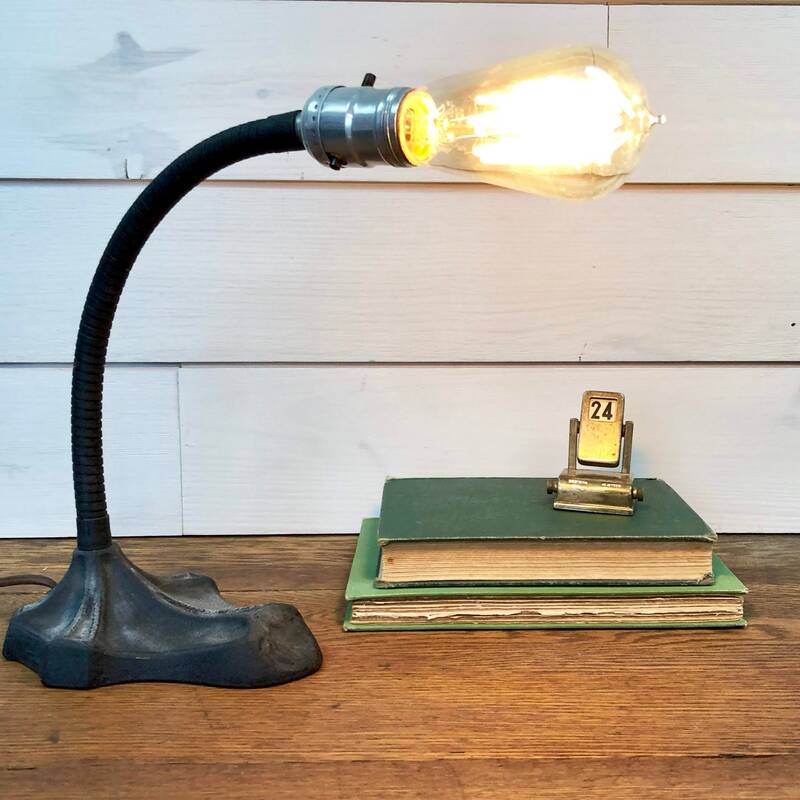 Add this rustic, black Art Deco desk or table lamp to your unique home interior. 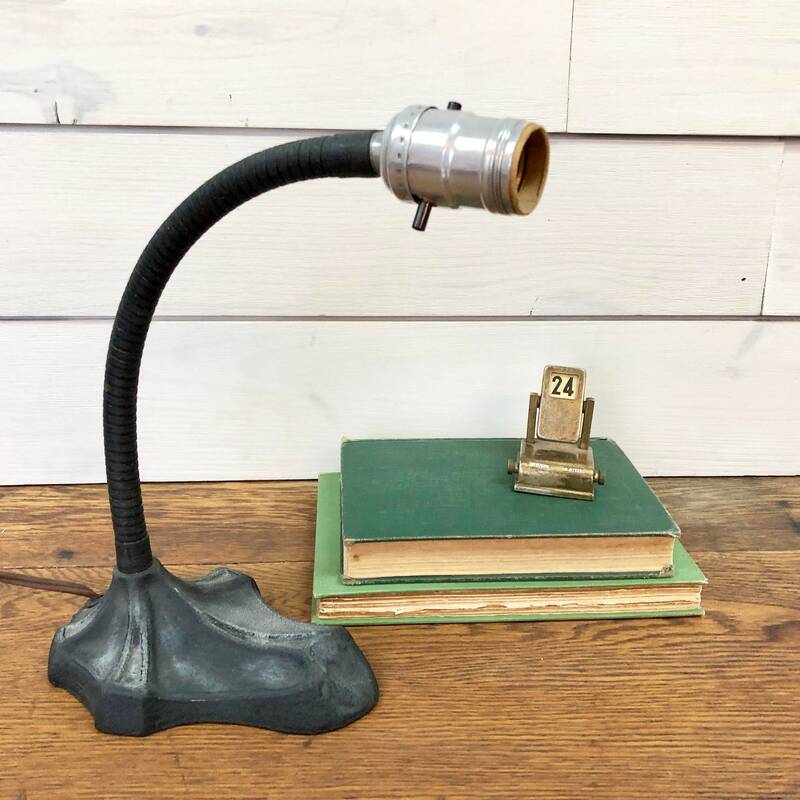 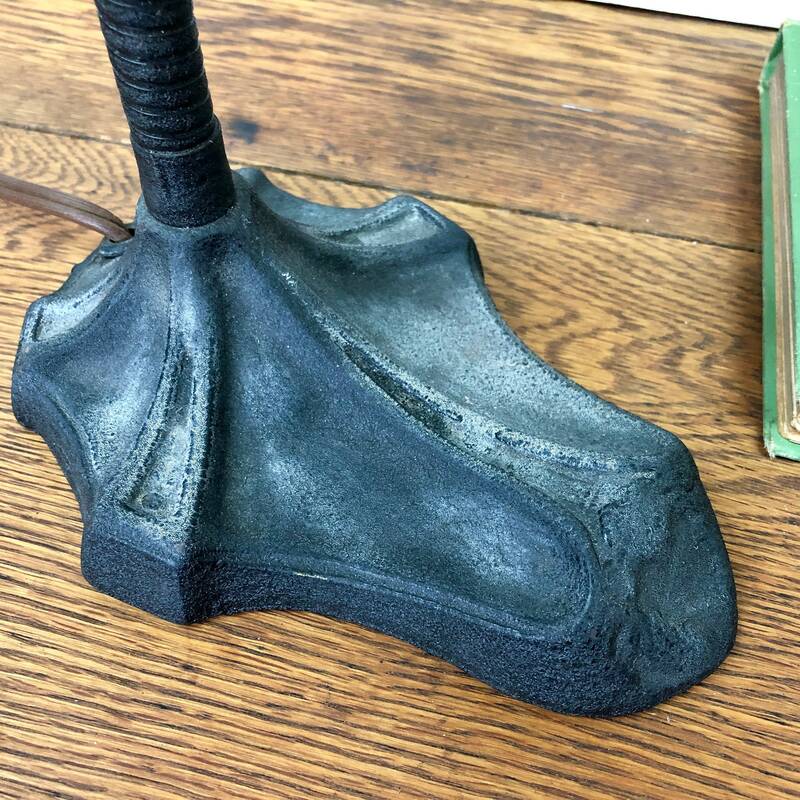 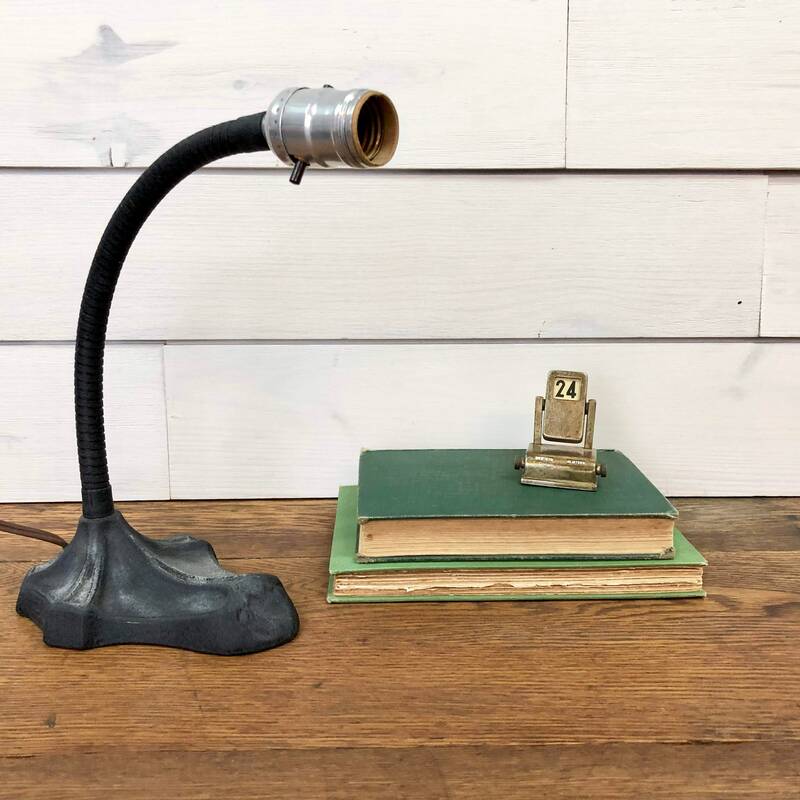 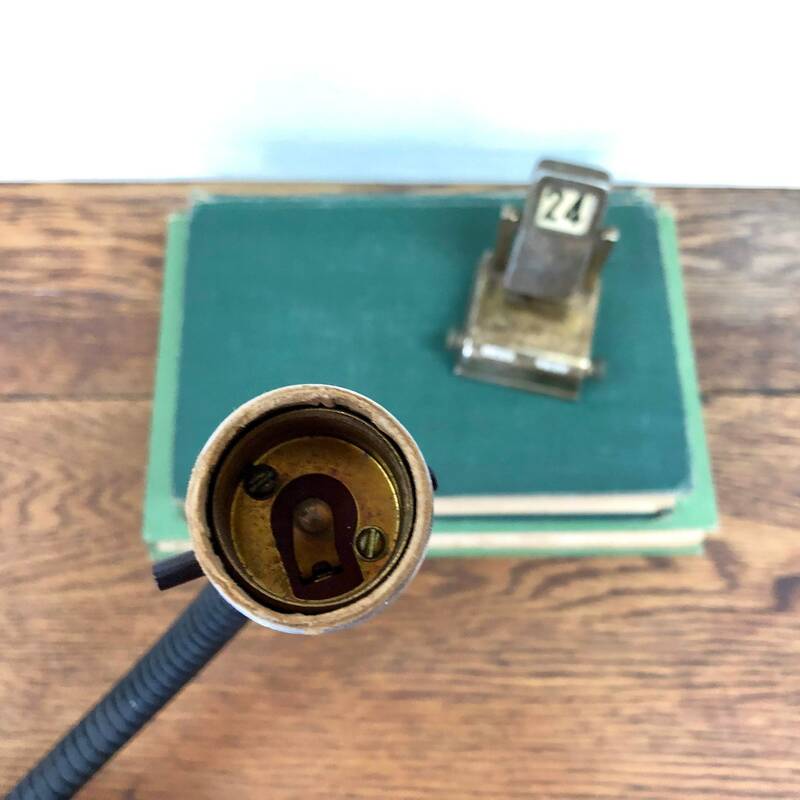 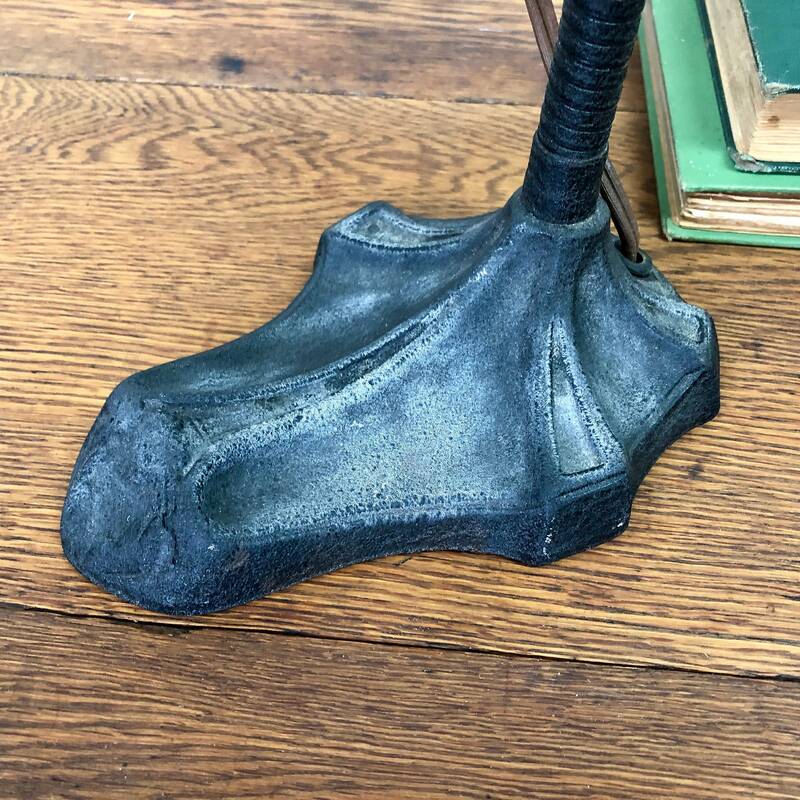 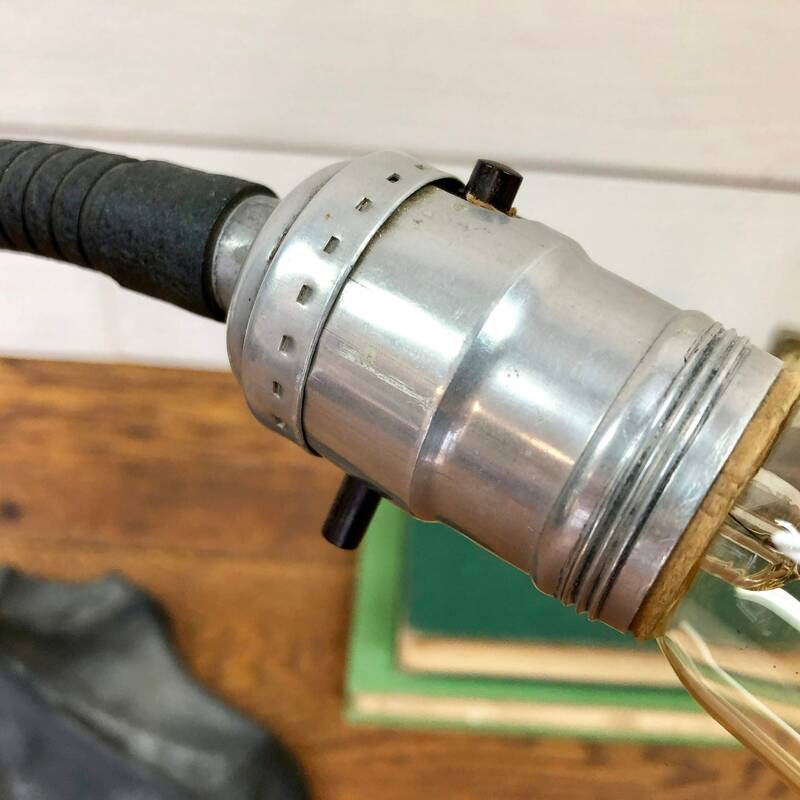 This vintage cast iron, gooseneck lamp will add lots of awe and admiration from your house guests when paired with an Edison bulb (not included). 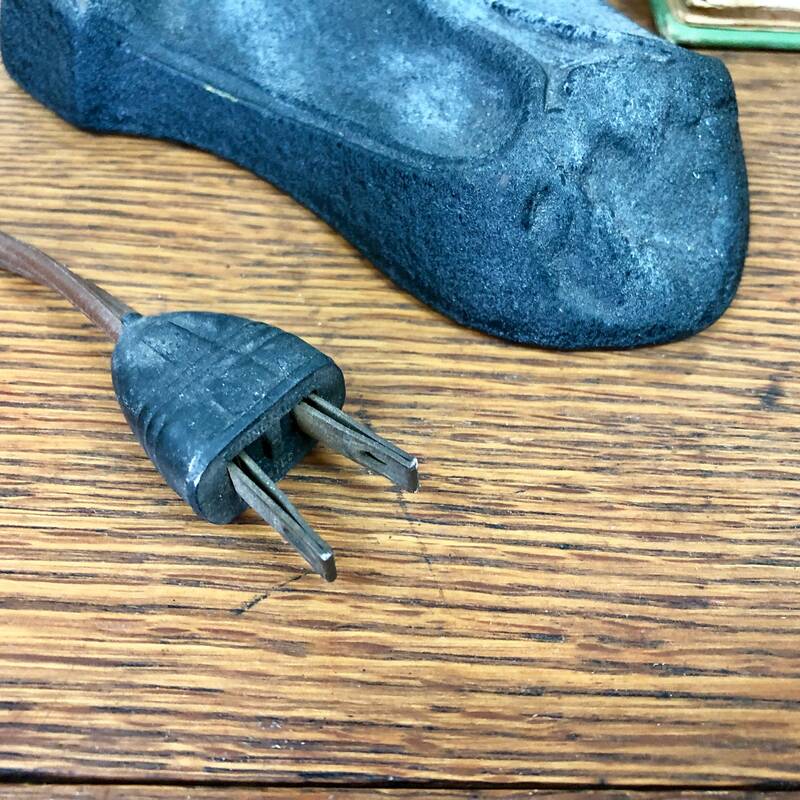 They are easily found on hardware stores or online at Amazon. 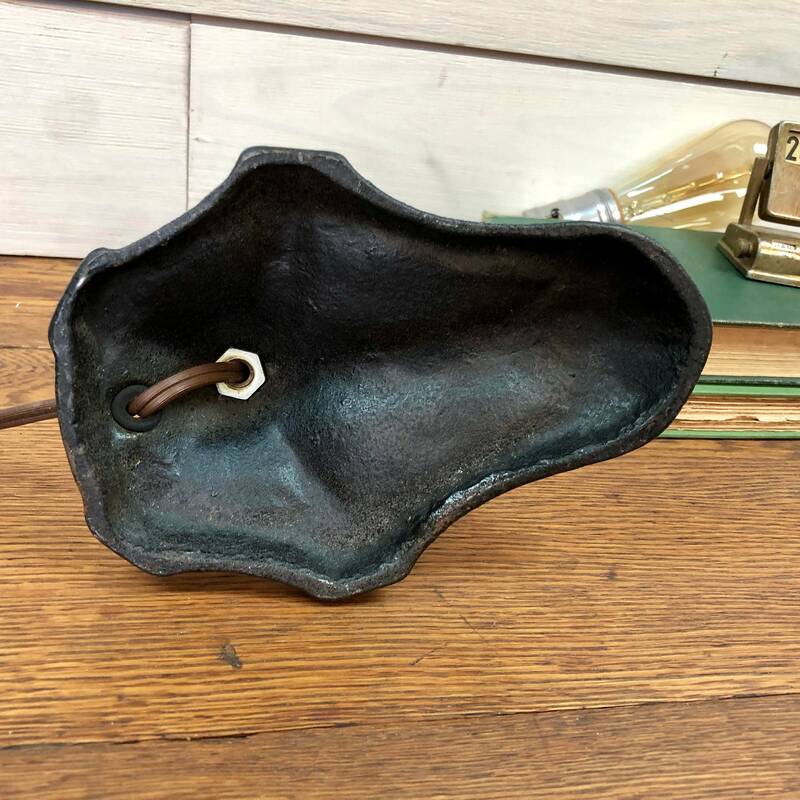 • Solid workmanship for long-lasting decor (they don't make them like this anymore)! 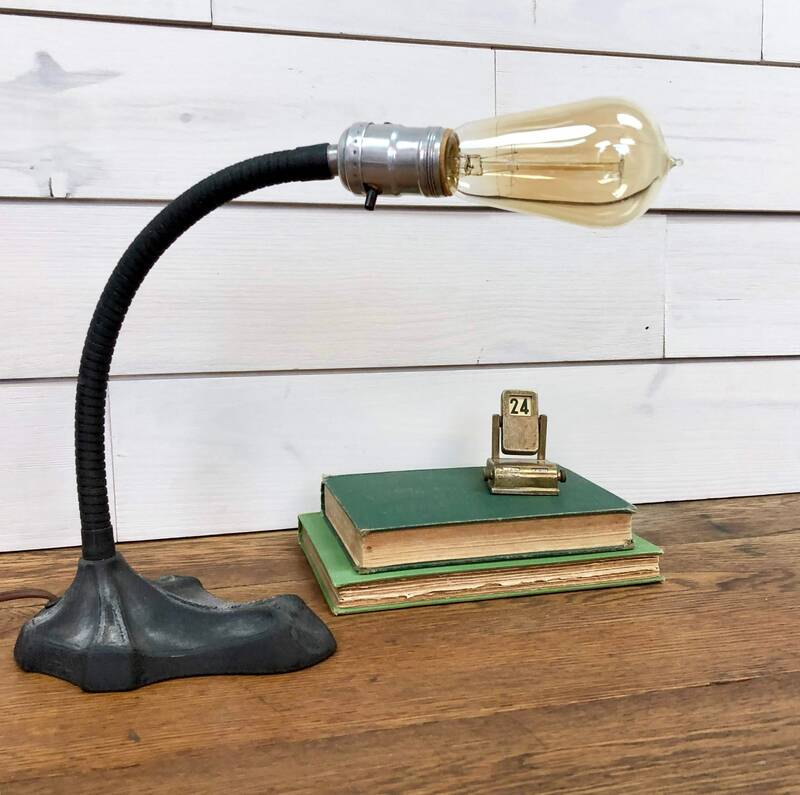 A vintage item in good working order that will need a light bulb.